a gathering of friends is a collection of 21 short stories. The twenty-one stories in the book are the greatest pieces of fiction written by Ruskin Bond. Chosen by the author himself, from a body of work built over fifty years (starting with his award winning first novel, ‘The Room on the Roof’, and ending with ‘Tales of Fosterganj’), this collection includes well-known masterpieces like ‘The Night Train at Deoli’, ‘The Woman on Platform 8’, ‘Rusty Plays Holi’, ‘Angry River’, ‘The Blue Umbrella’, ‘The Eyes Have It’, ‘Most Beautiful’, ‘Panther’s Moon’, as well as newer stories like ‘An Evening at the Savoy with H.H’ and ‘Dinner with Foster’. 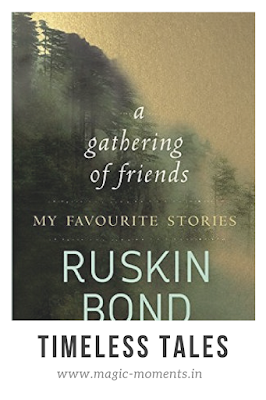 Taken together, the stories in A Gathering of Friends show why Ruskin Bond has long been regarded as one of the pillars of Indian Literature. In my early years of schooling, I lived with my grandparents. My father was posted in a quaint little hilly village famous for mining, which had no schools in the vicinity. His was a transferable job, and in those days he used to get calls for a transfer every few months, which made it difficult to have me in tow. It was during these years, that I grew addicted to stories. Grandma would spin a new story for every occasion- while getting me ready for school, making me eat balls of rice and veggies, and making me sleep. And Grandpa would fill in during the rest of the times, after coming from the office. 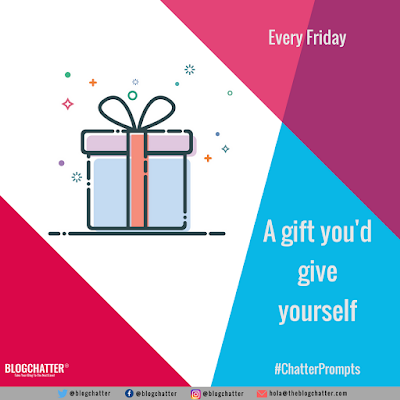 He would open his ‘gapa pudia’ (a pocketful of stories) while Grandma was busy kneading the dough, cooking or doing other household chores. I slowly and steadily grew familiar with Panchatantra, Jataka Tales, and the folktales of Odisha.